In 1886, Josephine Cochrane – the granddaughter of steamboat inventor, John Fitch – decided that she was tired of her servants breaking her good china while it was being cleaned. She set out to build a contraption that would scrub and polish all of her crockery in record time, and the dishwasher was born. Cochrane presented her invention at the Chicago World’s Fair in 1893. Modern dishwashers range from very simple to fully loaded with special features, like more eco-friendly “half load” options, touchscreens and steam cycles. Though it’s not necessary to have all of these bells and whistles, some users really seem to enjoy the extra versatility. Speed, size and noise level are also common considerations when choosing the best model. We have divided this article into two sections: built-in dishwashers and countertop models. The former are usually integrated into a kitchen’s design, whereas the latter either rests on the countertop or is on wheels, so that it can be moved around the kitchen. Both have their respective advantages and disadvantages. Please remember that a “pro” for one reviewer might be a “con” for another, depending on his or her specific needs. We are not connected to any of the manufacturers mentioned. Our conclusions, presented in the “Final Thoughts” section at the end of the article, are derived from the opinions of actual product users. What brand of dishwasher do you have at home? Are you satisfied with it? Tell us what you do or do not love about it in the comments section below! This dishwasher is very quiet thanks to the 44-decibel operation, which some consumers claim makes it difficult to tell if it is running if not for the red indicator light that shines on the floor while the wash cycle is in progress. In terms of loading, the adjustable top rack allows for easy adjustments and up to nine different placements, but the lower rack’s awkward design makes loading difficult at times, and its tines that hold plates in place are angled in a way that's ideal for plates with less of an angle along the edges. Consumers sometimes complain that this makes loading other dishes difficult, especially bowls. 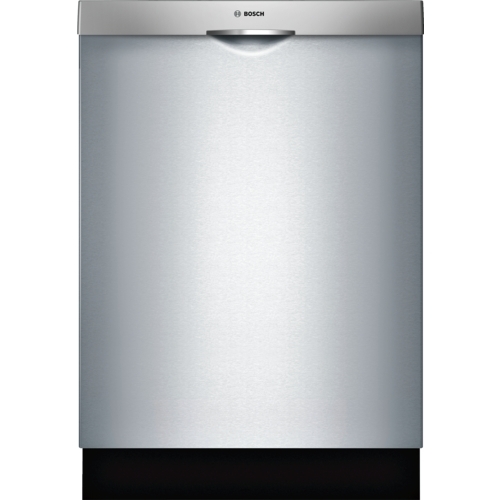 However, this dishwasher is EnergyStar compliant and keeps operation costs and water waste at a minimum. While the price point isn’t as low as some models, it’s definitely not the most expensive built-in dishwasher either. The top rack is adjustable, but it can only be placed in two different orientations. However, the tines that hold dishes in place are also foldable for more fit options, which is also true for the low rack. Among its other features is a clean water washing system that consistently removes the food particles from the water as washing takes place, and the ProScrub system uses 40 jets to help eliminate pre-rinsing. After washing, the ProDry system helps to remove excess water even from plastic dishware. While the features are impressive, consumers frequently mention that the detachable filters are a pain to replace and clean. Also, the standard wash cycle is almost two hours long, which is unimpressive but not entirely too slow for most reviewers. While not all consumers report these problems, many claim that the unit begins to clean poorly or show signs of breaking within only one or two years of regular use. While the manufacturer claims that it can handle a capacity of 15 place settings, this figure is likely a bit exaggerated, but among its features are automated temperature controls and a delay start option. In terms of operation, the wash cycle takes roughly two hours, but it has a quick wash setting that takes about half that amount of time. While some consumers complain that the bottom rack doesn’t wash as well as the top rack, the tines used to hold in dishes are adjustable for both top and bottom racks, and the Clean Water Wash system ensures that food particles are removed throughout the washing process. Ultimately, the majority of reviews are positive, but a significant number of poor reviews cite problems with the unit leaking from the bottom when defects are present. 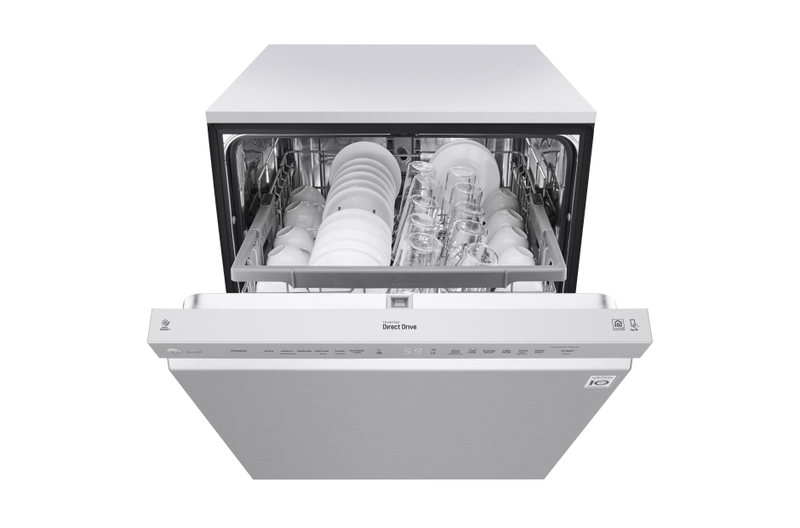 The two-drawer setup makes this dishwasher stand out amongst the rest, and it allows the user to wash either the top drawer, bottom drawer or both simultaneously, helping to improve efficiency and allowing the user to wash smaller loads, if desired. Consumers were typically happy with the two-drawer system, though some have complaints that repairs are difficult to have done, due to this setup being relatively new in the market. This unit also contains a heating element for drying, but a few consumers complain that it remains too wet after a washing cycle. If not opened to allow venting, it can cause an unusual odor and possibly require rewashing. However, the noise level is minimal and features include a time-remaining display. This unit is so quiet that many consumers mention that the red indicator light that shines on the floor is the only way they know it’s actually running. However, while the air dry system tends to work well for most, some reviewers complain that the lack of a heated dry system leaves some items a bit wet after a wash cycle. Additionally, the plastic handle’s construction is also a concern for many consumers, as quite a few reviewers claim it breaks easily and must be replaced. In terms of features, it has three racks to allow for more capacity, but the tines within the racks are not adjustable. The topmost rack is designed with utensils in mind. Despite these small concerns, energy efficiency is impressive, especially when washing smaller loads using the half-load feature. The size is closer to a portable unit than most built-in units, and because of its somewhat smaller size, it is not suitable to replace larger units without making some modifications to the area where it is installed. However, for small homes, it is a practical solution when a portable or countertop unit isn’t desirable. Also, it’s worth noting that most reviewers claim that they were pleasantly surprised by how much fit into this smaller unit, and in addition to two racks, it also has a small cup shelf for additional storage space. Considering the cons, the most common complaint consumers report is that the washing cycle can take as long as three hours, the drying capabilities are a bit lacking and the cleaning power is not as impressive as larger dishwashers, despite the long wash cycle. The wash cycle takes an hour and 45 minutes, and although it has a quick cycle, many reviewers claim that the washing power is already unimpressive during the normal cycle. Adding to the list of concerns, the lack of a heated drying cycle means that dishes must air dry. 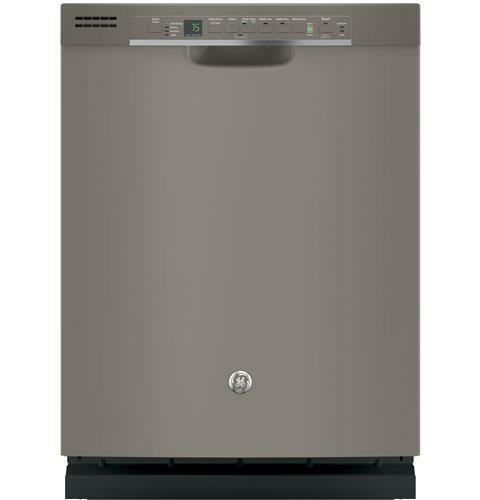 Additionally, consumers claim that the interior space is limited due to poor rack layout that makes this unit’s capacity notably less impressive than other 18” dishwashers. That said, the low price point, small size, and time display are benefits most consumers appreciate, and the lifespan of these dishwashers tends to be slightly above average. Finishes available: white, black and stainless steel. 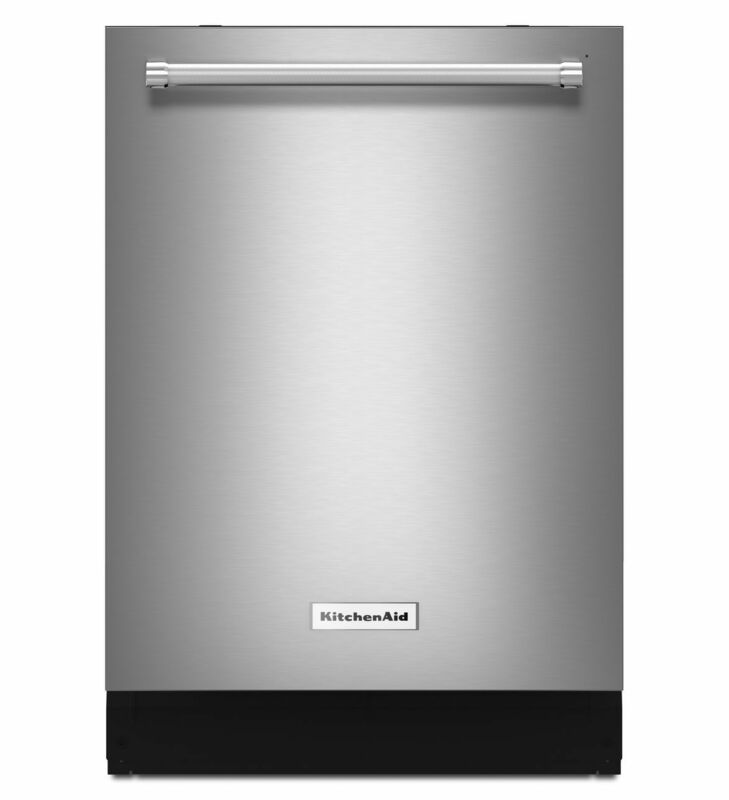 The height is slightly smaller than most full-size dishwashers, so please consider this prior to purchase. Given its smaller size, the price is not significantly less than full-size built-ins, nor is it as inexpensive as other compact built-in models. 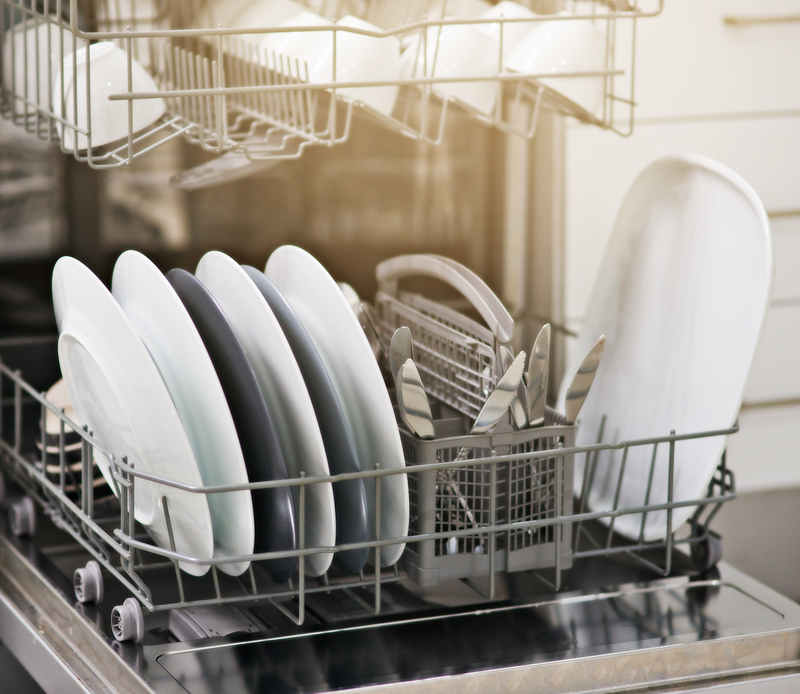 Additionally, it requires air drying rather than a heated drying cycle, and many reviewers claim that dishes remain wet while in the dishwasher. However, it rates well for energy efficiency and reduced water usage, and it runs quietly, although a few consumers note that it makes loud noises between cycles. Reviewers give this one a lot of credit, considering the relatively low price point for a full-size unit, and this makes sense considering the one-hour quick cycle does a surprisingly good job when compared to the much longer two and half hour normal cycle. 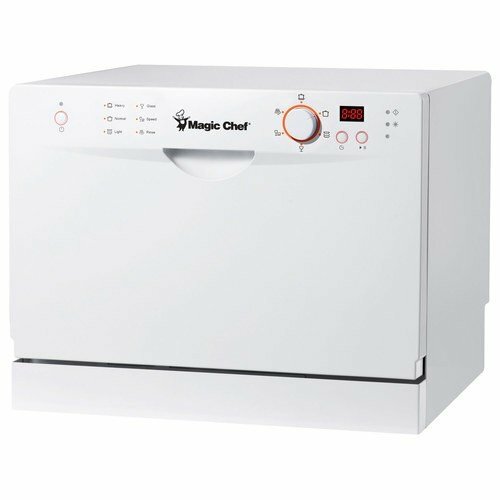 The quiet operation is impressive for a budget option, but it has no heating elements and almost every consumer complains that it does not dry dishes at all. The lack of drying also seems to leave some water within the unit itself. As a result, it requires regular cleaning to maintain sanitation levels. Despite its faults, it has a low price point, and the construction is sturdy and operation reliable. 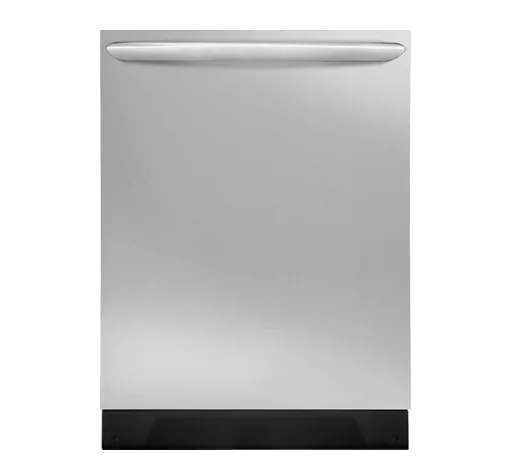 This dishwasher is one of the quietest available on the market at only 42 decibels! Though the quiet noise level is impressive, many reviewers note that the top rack’s adjustments are illogical and tend to get in the way more than help. Despite the poor layout on the top rack, the cleaning power of this dishwasher is impressive. Part of this is thanks to steam technology that helps break down foods prior to the full wash. Additionally, the control panel contains no text and the symbols tend to be confusing, which frustrates reviewers. Given its high price, it is unfortunate that the drying feature is inconsistent. This unit cannot hold as much as most full-sized built-in dishwashers, which is due largely to the fact that the racks are non-adjustable, except for one set of foldable tines that allow for larger pots and pans to fit on the bottom rack. Additionally, reviewers claim that the overall construction comes across as poor in quality. To expand on this, the interior tub is made of plastic, rather than stainless steel, which reduces efficiency. Also, the controls appear poorly made, but most reviewers claim that they work fine anyway. Despite any shortfalls, the 13699 is relatively quiet at 50 decibels, and it has powerful cleaning, thanks to the additional jets. Reviewers also mention that the drying power is impressive due to a heated element and the use of a ventilation fan that helps draw moisture out of the dishwasher. So while this model isn’t loaded with features and has a small number of faults, it offers extremely reliable results. The interior tub is made of plastic instead of stainless steel, and many reviewers note that it requires occasional cleaning. The normal wash cycle is 90 minutes, which is faster than many options, and there is also a wash option for the top rack only, for times where a light load is ideal. However, consumers report that the heated drying system doesn’t always finish the job, and while the unit isn’t obnoxiously loud, it could be a bit quieter. It is also worth noting that the capacity isn’t extremely impressive, and many consumer reviews mention that the rack designs are not ideal. In fact, most of the rack adjustments seem to get in the way rather than help fit more dishes into the unit. Regardless, the easy-to-use controls and budget-friendly pricing make up for some its shortcomings. 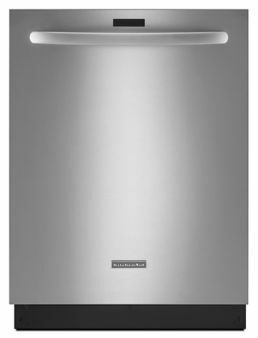 This basic dishwasher is low on features, but reviewers claim that it cleans as well as models that are more expensive. Drying capabilities are unimpressive, and most reviewers claim they need to leave it open to allow for air drying. Also, the plastic tub hurts the energy efficiency a bit, and about the only notable features included are the countdown timer and the one-hour quick cycle. The regular cycle takes about two hours to complete, but the inexpensive price tag makes up for a lack of features. This will get the work done without all the added frills. 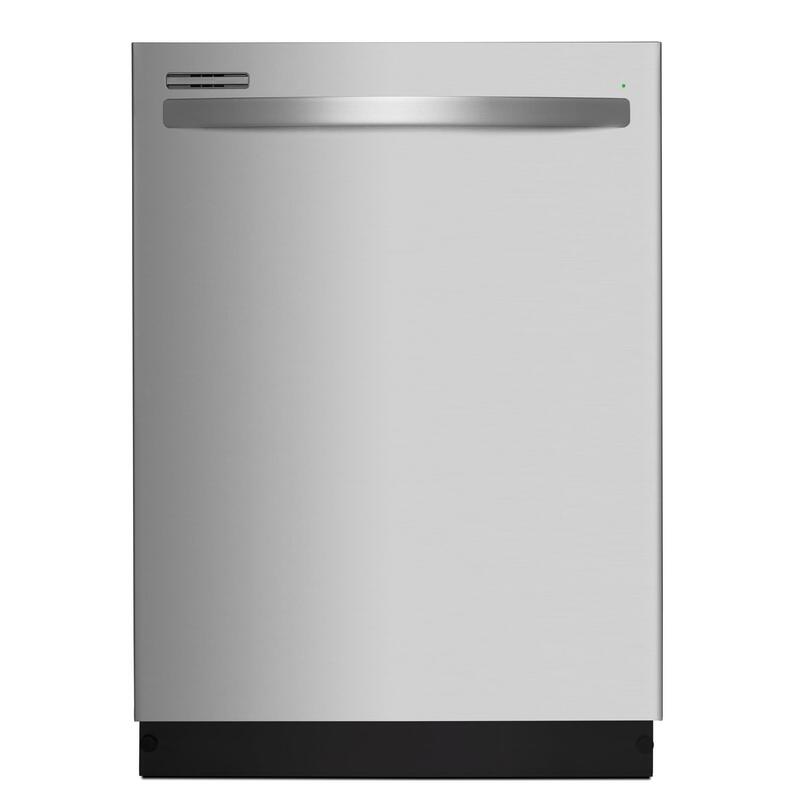 This dishwasher is available for a relatively low cost. As such, the construction is rather poor in quality, compared to other models. Construction issues include a plastic tub that reduces the energy efficiency when compared to stainless steel tubs. Likewise, this washer doesn’t come with many features, but the cleaning power is comparable with models that cost twice as much. While the racks are not adjustable, reviewers say the layout is well thought out and allow for decent loading. Moving on to performance, the drying power isn’t impressive, but the simple controls make it easy to operate. A regular wash cycle takes a little over two hours, and the pots and pan wash cycle takes just slightly longer without a huge difference in results. While it does offer a one-hour wash cycle, reviewers claim this only works well for dishes that are mostly clean already. 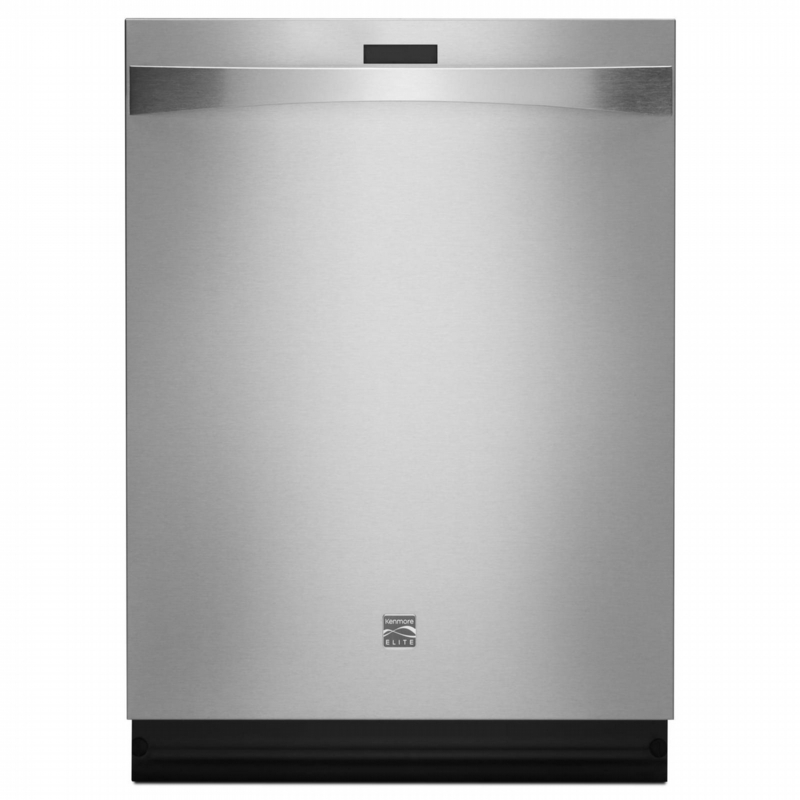 Loaded with many features and a high price point, this dishwasher operates at only 39 decibels. That means it is quieter than every other dishwasher reviewed here! One unique feature is the auto-reversing spray arm that detects if it collides with any obstructions and then reverses itself to continue cleaning. Adding to the positives, the upper rack is adjustable to allow for more height, and it has foldable tines to allow for wider items. While the cleaning power is impressive, the standard heated dry system struggles with drying plastic dishes. However, the “SmartDry” system seems to help remedy this problem. Unfortunately, this dishwasher includes a filter that must be manually cleaned, and the standard wash cycle takes about two hours and fifteen minutes, which some consumers consider far too slow. While those that were happy with this product were extremely happy, a handful of reviewers claim that this particular dishwasher presents quality control issues that require too much maintenance for the price. The regular washing cycle takes nearly two hours, but the express one-hour wash is also available. Unfortunately, most reviewers claim that this dishwasher doesn’t dry very well, and this is especially true of plastic dishware. On the other hand, it comes with a Clean Water Wash feature that filters out food particles as the washing process takes place, which helps to ensure that the dishes are as clean as possible. Additionally, reviewers love it for the extremely quiet operation noise, decent energy efficiency, and adjustable rack height with adjustable tines. Additionally, there is the option for a top-rack only wash cycle, which, consider other features, means there is a lot of versatility allotted from this unit. While consumers are typically happy with washing and drying capabilities, some claim that drying isn’t perfect with plastic dishware. Reviewers also claim that the capacity is lacking, and part of the issue with capacity is that the tines are not well spaced. While the top and bottom racks both have a set of foldable tines for larger items, this only does so much to remedy the issue, but the top rack is also adjustable for height. However, there is the option to run a wash cycle on the top rack only for lighter loads. On the topic of wash cycle, the standard wash cycle is almost two hours, and during the wash, the controls are hidden on the side of the door. Reviewers dislike this because there’s no indication of which part of the cycle is currently taking place. Despite some faults, this dishwasher has quite a bit of features and positive points for its price. Among these positives is EnergyStar and CEE certifications for energy efficiency, and it operates at a relatively low 50-decibel volume. 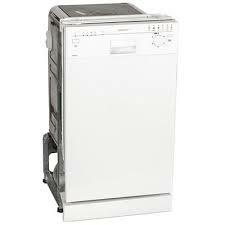 This is one of the quietest dishwashers available on the market with an operation volume of only 40 decibels. Many reviewers claim that they cannot even tell if it’s running. Also favorable is EnergyStar certification that goes along with fairly energy efficient operation. Other impressive features include a top rack that is completely removable for easy loading and unloading, and included are two foldable rows of tines and two cup shelves with stemware holders for wine glasses. The bottom shelf also features two foldable tines. While the features are plentiful, the normal wash cycle takes almost two and a half hours. However, many reviewers claim that the less expensive models they replaced work just as well to clean their dishes. The top rack is adjustable for added height, and both the top and bottom rack have fold-down tines to allow for larger dishware. In addition, both cleaning and drying capabilities are well reviewed by consumers. 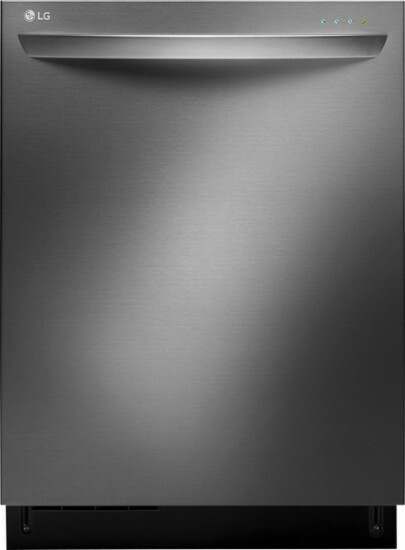 This dishwasher features four washing arms for impressive cleaning, and the Night Dry feature helps keep plastic ware dry by intermittently running a fan to draw moisture out overnight while the Vario Wash feature allows the user to determine how vigorously the top and bottom racks are independently washed, which many reviewers that prefer customized cycle like. Unfortunately, the normal cycle runs over two and a half hours, which is longer than most dishwashers. Many reviewers note that the controls aren’t very intuitive either. 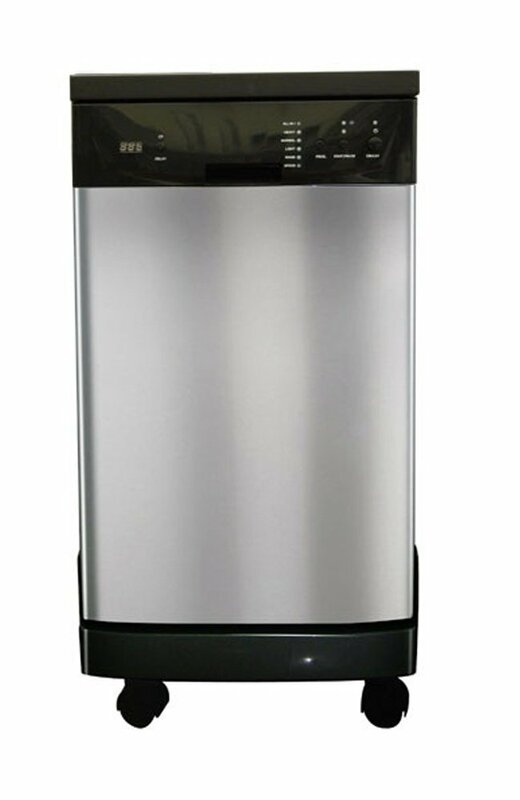 The water efficiency of this machine is extremely low, in comparison to most modern dishwashers on the market. In fact, it uses two times the amount of water during the standard wash cycles, and the Power Wash cycle uses almost 10 gallons of water per cycle. This heavy water usage allows for strong cleaning power, but it also raises the cost of operation considerably. 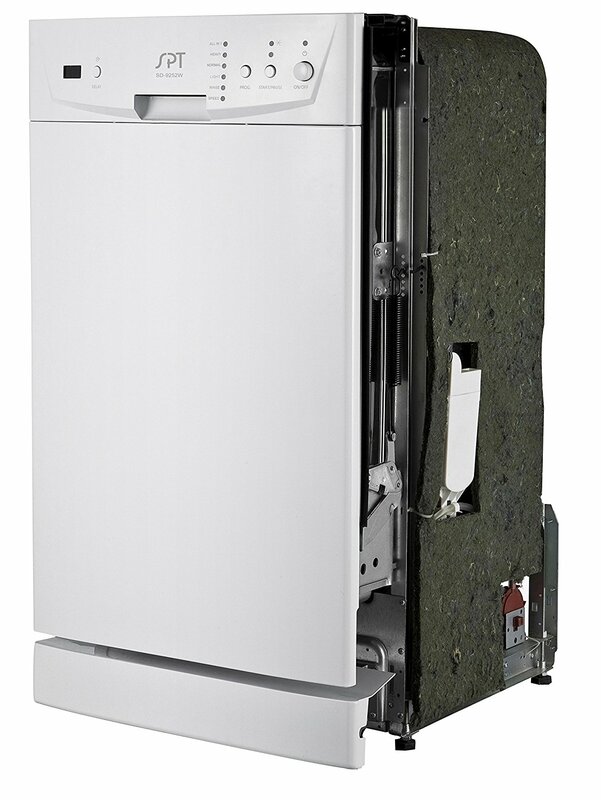 Unlike most modern units that use filtering systems, this dishwasher has a food disposal system with steel blades that efficiently remove large chunks of food. 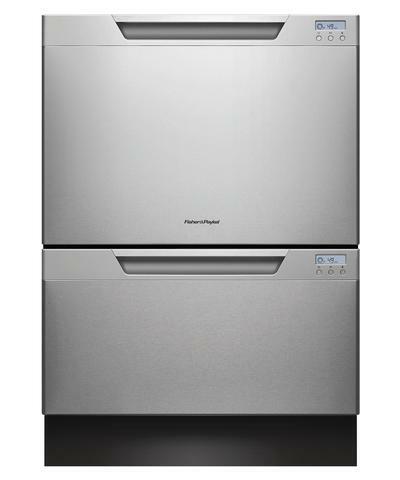 However, a small number of reviewers claim that this dishwasher sometimes struggles to remove small food particles. Reviewers say that the Power Wash cycle helps reduce redeposit of food particles, but the use of water is greatly increased. On a positive note, the heated dry system works extremely well, but with a two and a half hour regular wash cycle and more than three hours for the Power Wash cycle, it is an incredibly slow dishwasher. Still, it cleans well and runs at a relatively quiet 48 decibels. 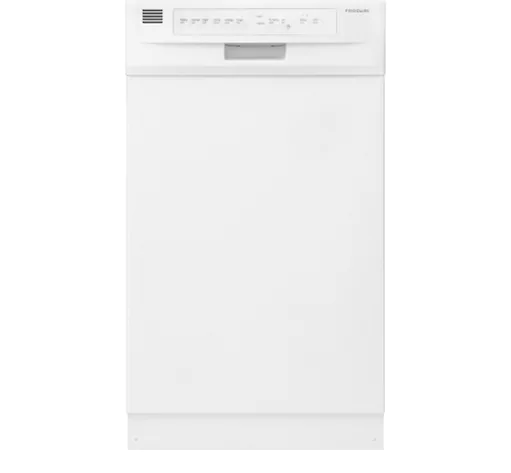 This dishwasher rates well with reviewers for its strong cleaning power, but some note that the operation noise of 55 decibels isn’t especially quiet when compared to other units. However, it offers decent energy efficiency that keeps operation costs low. Unfortunately, it does not have a heating mechanism for drying dishes, and there is no delayed start feature. Additionally, some reviewers report that the faucet adapter is poorly manufactured and sometimes begins to leak, but replacing this adapter solves the problem. Reviewers are impressed with the rack layout with foldable tines that allow for easy loading of larger items. This unit is energy and water efficient, thanks to its small size, but some consumer reviews criticize the poor rack arrangement. Regarding rack arrangement, a foldable top shelf is available for a few extra items. Unfortunately, many reviewers claim that dishes won’t dry unless the door is left open, and many mention that the lack of an LED screen to help with controls and settings makes it a step down from the model it is meant to replace. Additionally, it is not the quietest model available, but it isn’t particularly noisy either. 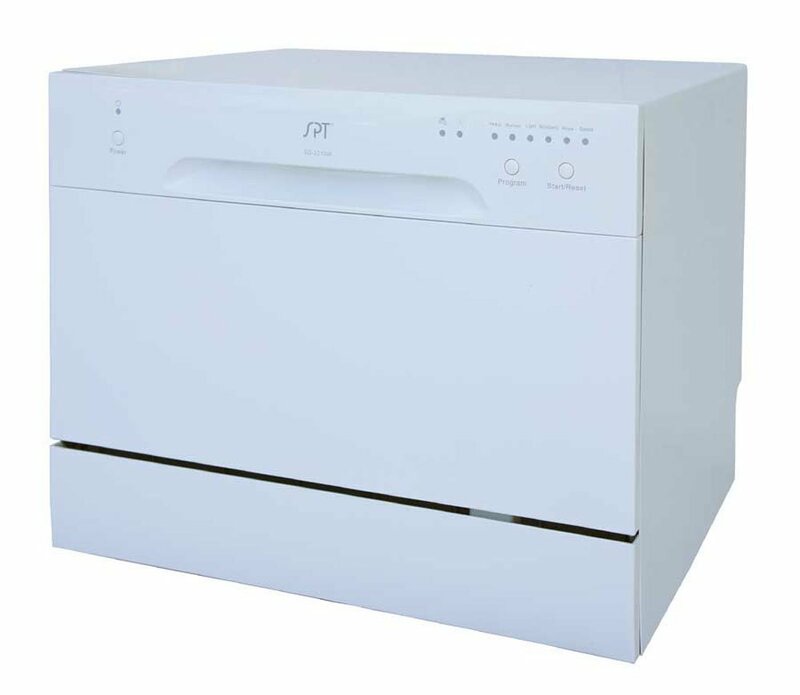 Despite being a bit wider than some of the other countertop dishwashers available, the interior rack is a bit more compact than most reviewers expected. As such, several reviewers warn to avoid this unit if you have dinner plates that are larger than 10” in diameter. Positive notes include EnergyStar approved energy efficiency that uses small amounts of water, and it is relatively quiet for a countertop unit. However, the hoses that come with this SPT dishwasher are non-retractable, meaning they aren’t stored anywhere within the unit, and many reviewers claim that this makes them difficult to handle and may cause some water to leak out when they are removed. Also, after a year or two of use, several consumers report issues with proper drainage, but others have seen it last much longer. Overall, most reviewers are happy with this purchase and cite the low price point as one of the reasons. The rack design allows for larger items in the rear, and it has a cup rack for additional space. This unit uses a minimal amount of water and rates high for energy efficiency, and overall, the washing power is well-reviewed, even though the wash cycle is nearly two hours. As with most countertop units, there is no drying system. Another major complaint consumers mention is that the provided hoses are on the short side, making it difficult to setup anywhere besides directly next to the sink. Given that it is a countertop model, this isn’t going to be a huge concern for most. In a few instances, consumers stress that cleaning the filter is troublesome. Given the washing power, this is still a reliable unit. While plates larger than 10” may not fit well, many reviewers give it praise for powerful cleaning power even when using the quick 30-minute wash cycle. The standard cycle takes quite a bit longer, but the results are typically impressive. Unfortunately, this dishwasher is not energy compliant. However, the small size means that it uses far less water than larger dishwashers. There is also no heated drying, and many reviewers have mentioned that they need to leave it open to air dry the dishes after a wash cycle. Additionally, a small number of consumers mention that it begins to leak after a year or so of regular use, but this does not seem to be the typical experience. This is a countertop unit that features a bit more features than most, including indicator lights and a built-in LED display. A very small number of consumers complain that the LED display becomes faulty after a few months, but the majority of reviewers were happy with it. While it uses very little water and rates well for energy efficiency, its compact height makes it difficult for large dinner plates to fit inside this unit, and like many countertop units, there are no drying functions. The typical wash cycle is almost two hours, but there are quicker cycles that work well for lightly-soiled dishes. The “party trick” cycle runs for 20 minutes, which many reviewers approve of for quick cup washing. Ideal for a family of four or smaller, this portable unit receives praise from most reviewers. It uses slightly less water than other units of similar sizes, and it is EnergyStar-certified, offering decent energy efficiency. While the top rack is adjustable, the rack layouts are often criticized as being awkward. 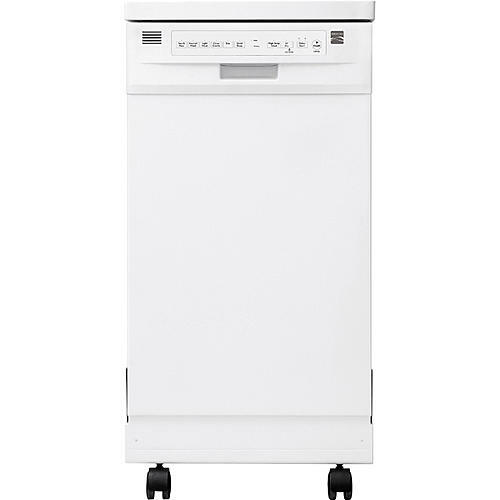 Additionally, this portable dishwasher lacks drying technology, meaning dishes must be manually dried or left to air dry for long periods. Another major disadvantage is that stopping the wash cycle means it has to start completely over from the beginning. However, it is fairly quiet for a portable dishwasher. The noise level is minimal, though it is more noticeable between cycles. 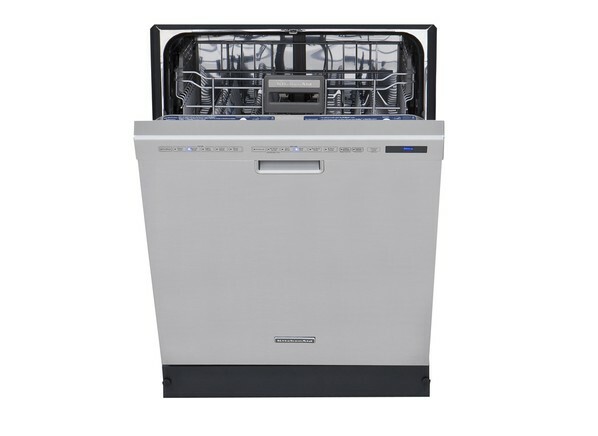 Most consumers claim that it requires rinsing dishes very thoroughly before washing, unlike some of the newest built-in dishwashers available. Some go as far as saying that dishes are left soaking wet and must be dried manually. Additionally, the control panel beeps when the dishwasher is left open, while setting up wash cycles, and at other times, which has been a minor annoyance for a handful of owners. However, the small size allows for energy and water efficiency. 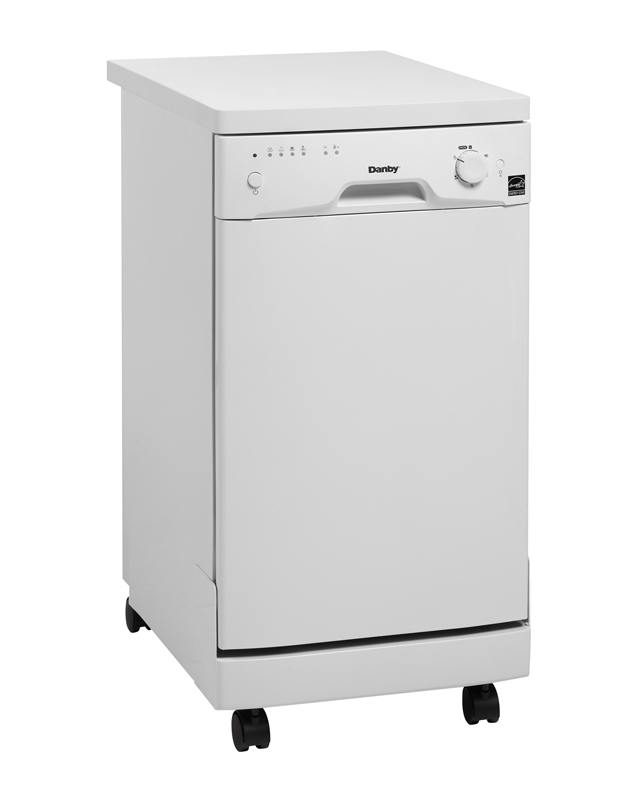 With this unit, patience is required since the wash cycle can take as long as three hours, but it does a great job of cleaning the dishes and offers decent capacity. As for capacity, the top rack is adjustable and offers fold down tines for fitting awkwardly shaped dishes. 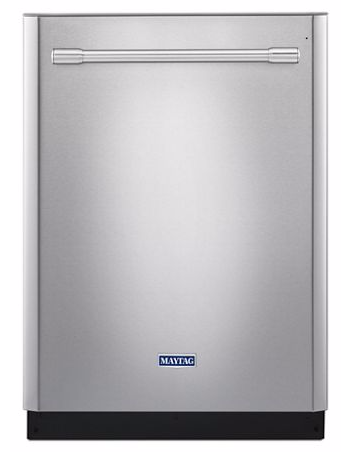 Most impressively, unlike many dishwashers, portable or not, it features built-in water softening that’s ideal for areas with hard water issues. However, several reviewers complain that the power cord is much too short and the manufacturer doesn’t recommend using extension cords to solve the problem. Likewise, the connector hose is also relatively short and some reviewers note that the adapter to the sink doesn’t work well on all faucets and may need to be replaced. Despite some of its faults, its low price point, water softening and reliable cleaning make it a popular choice. The interior tub is made of stainless steel, which helps reduce the noise level a bit, but this unit could be quieter. Many reviewers also claim that items in the rear of the bottom rack do not get quite as clean as the rest of the load, but overall cleaning power is relatively impressive. The racks and tines are non-adjustable and their layout makes for awkward loading sometimes, but energy and water efficiency are superb. Unfortunately, the faucet adapter may cause some minor leaks, but luckily these will generally fall into the sink. 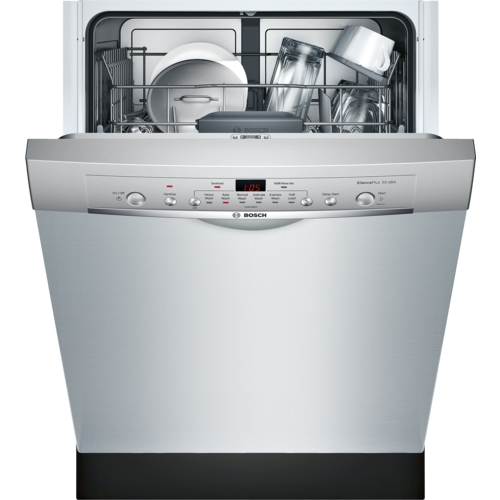 As we have demonstrated, there are many options when shopping for a new dishwasher. The largest criteria that reviewers seem to focus on are noise level, washing power, drying power and price point. Considering these criteria and reviewing thousands of consumer reviews, we believe there are obvious choices in each of the three categories. 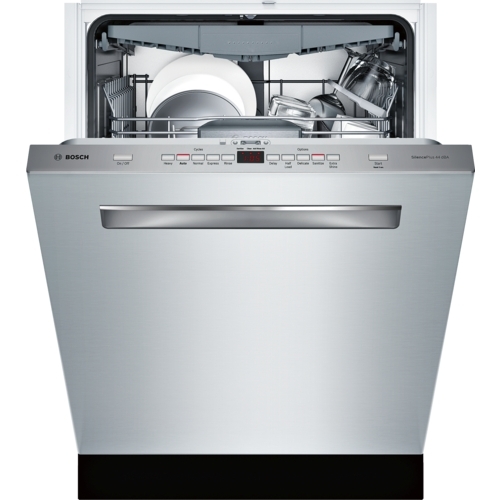 For built-in dishwashers, our well-rounded recommendation is the Kenmore 13699. What really makes us recommend it is the fact that it cleans and dries well. 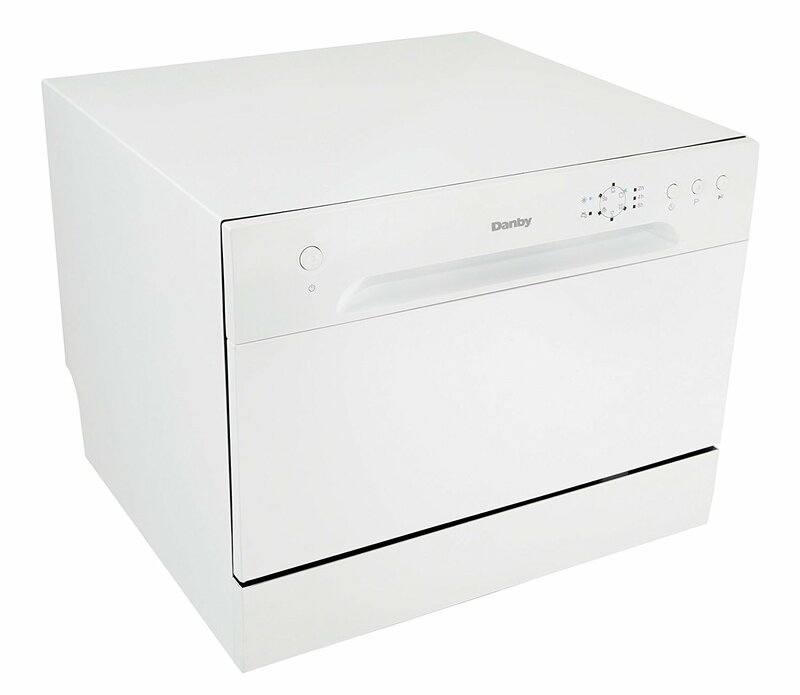 Many dishwashers fail to impress consumers with drying ability, so the use of a ventilation fan and a heated drying element makes this relatively inexpensive unit stand out, despite its lack of features otherwise. The noise level is within the middle range for modern machines, which means it is going to be quiet enough for most consumers. While its design may not be as fancy as other units, its function far exceeds many of the expensive units on our list. 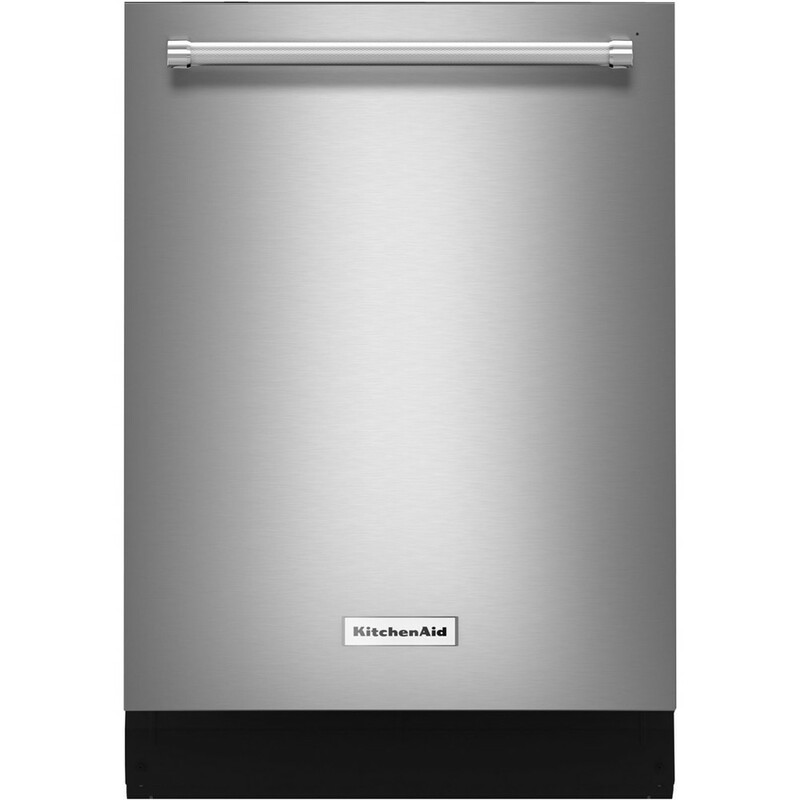 For countertop dishwashers, our recommendation is the Magic Chef MCSCD6W3. Unfortunately, the majority of countertop dishwashers do not offer any type of drying mechanism, and the MCSCD6W3 is no different. However, it is slightly larger than the other models. This may be a good thing or a bad thing, depending on just how much counter space you have available. The racks offer foldable tines to allow for awkwardly shaped dishes, which is a big plus in a countertop unit. Reviewers who owned this dishwasher for over a year seem to be happier than those that posted reviews on other countertop units after a similar amount of time. 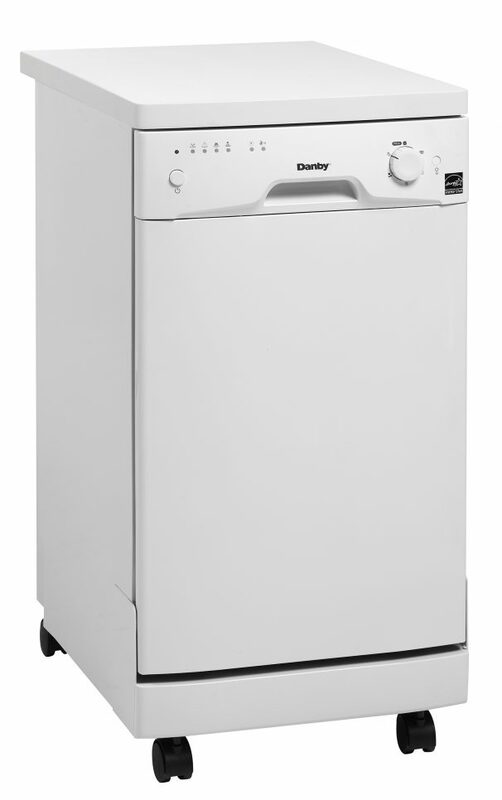 In the portable dishwasher category, our recommendation is the Danby DDW1801MWP. Its low price and impressive cleaning power make it an obvious choice. While it does not offer any heated drying features, it does offer built-in water softening, which allows it to work well in areas with hard water issues. The wash cycle is slow but leaves dishes clean. 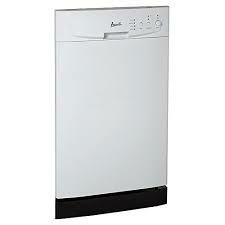 It is likely the quietest option for a portable without spending the type of money expected for a built-in dishwasher. How Do You Choose A Dishwasher? 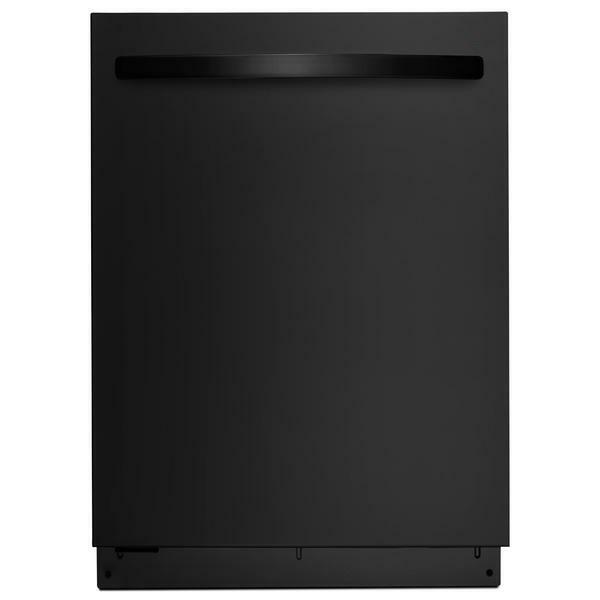 What do you look for in a new dishwasher? Is style more important than function? Are long wash cycles a deal breaker even if the washing power is impressive? Do you have any experience with a dishwasher we’ve reviewed here? Let us know your thoughts in the comments below.